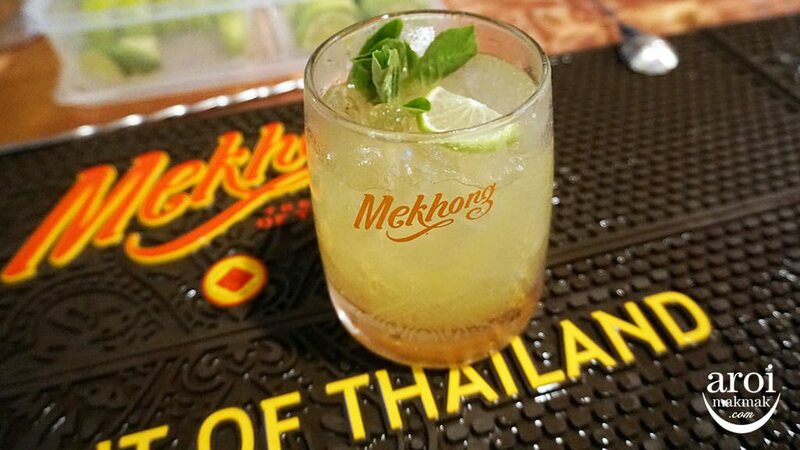 Home/Bangkok,Chiang Mai,Lampang/Guide/My 55 Perspectives of Thailand! 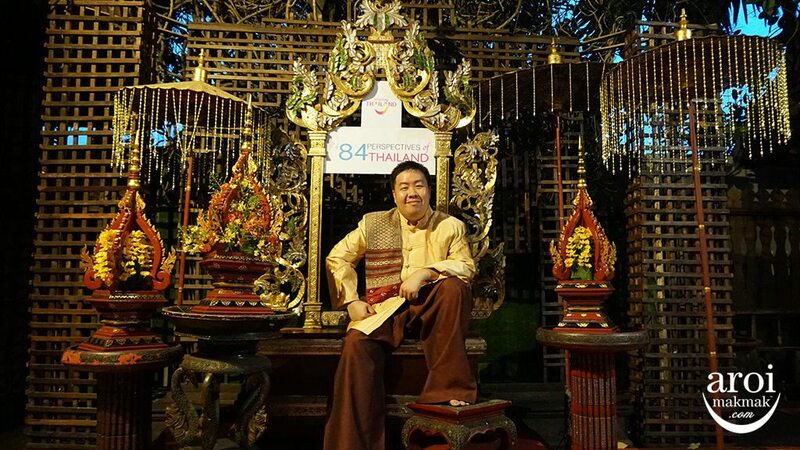 In conjunction with Her Majesty The Queen 84th Birthday, 84 celebrities / influencers / bloggers / editors were invited to Thailand too see a different side of Thailand which many don’t even know about. Despite being to Bangkok / Thailand so many times, I still managed to see and experience something new from Amazing Thailand everyday. 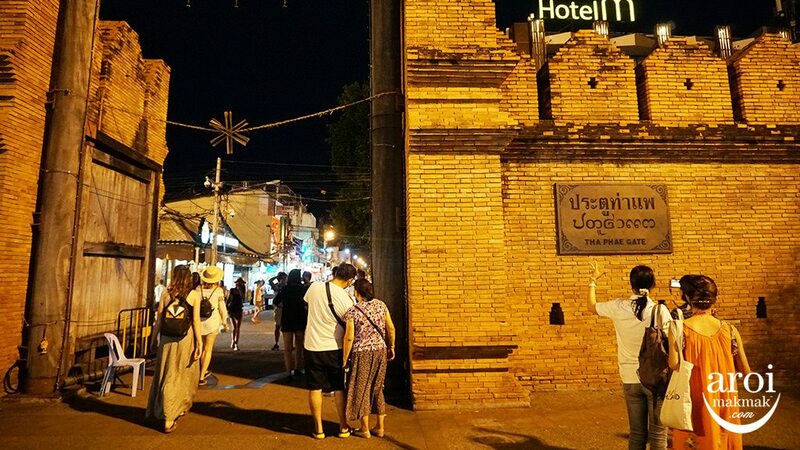 On this special trip, I visited Chiang Mai and Lampang in the North and I took thousands of photos. 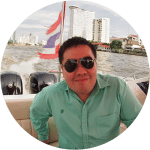 So without further ado, let me show you my 55 Perspectives of Thailand, with some tips! 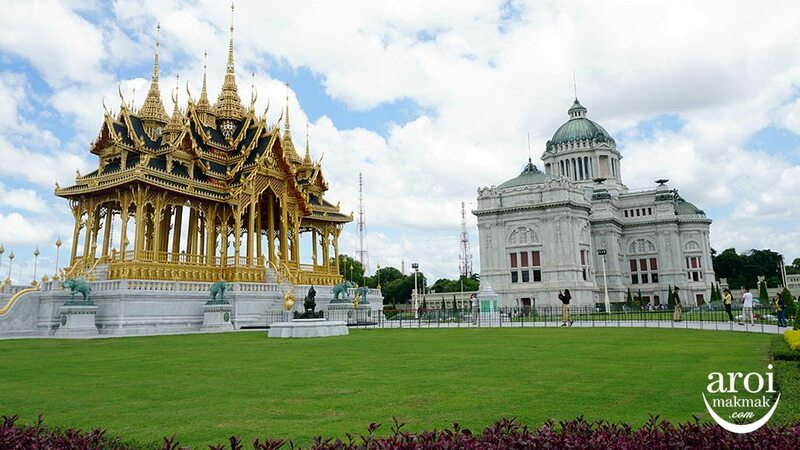 Grand Palace – A must visit for all first-time visitors to Bangkok! 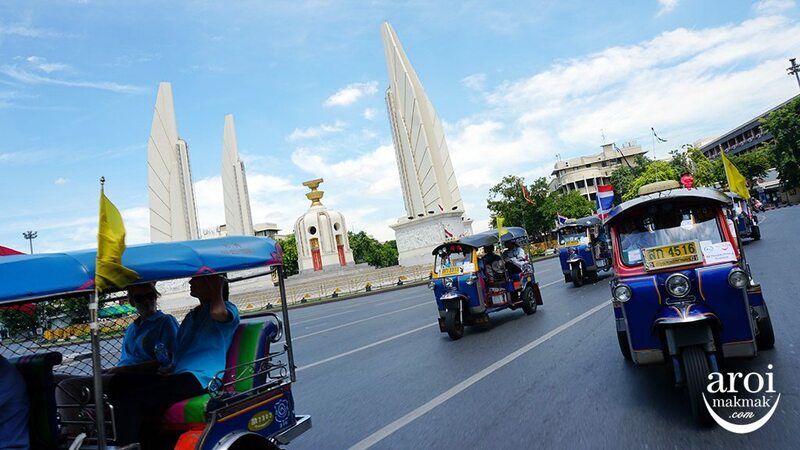 Tuk Tuk – Explore Bangkok in a the iconic Tuk Tuk but you will have to agree on the price before boarding! Thai Silk – Unique to Thailand and it comes in various forms, sizes and patterns. 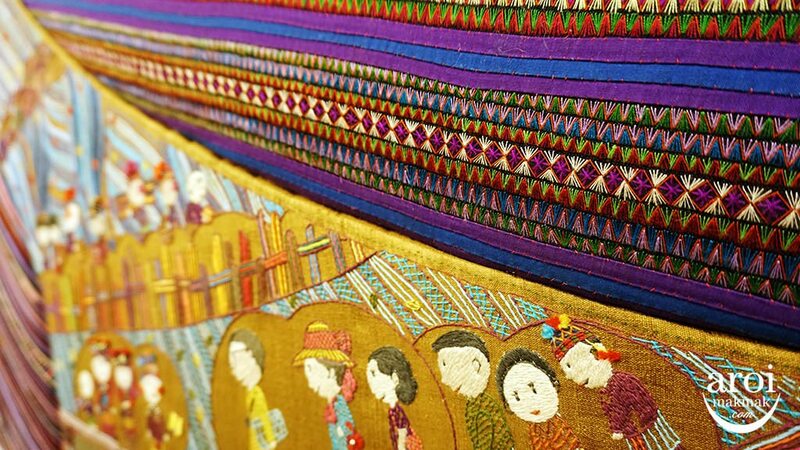 Visit The Queen’s Gallery to see the various artworks from all over Thailand. 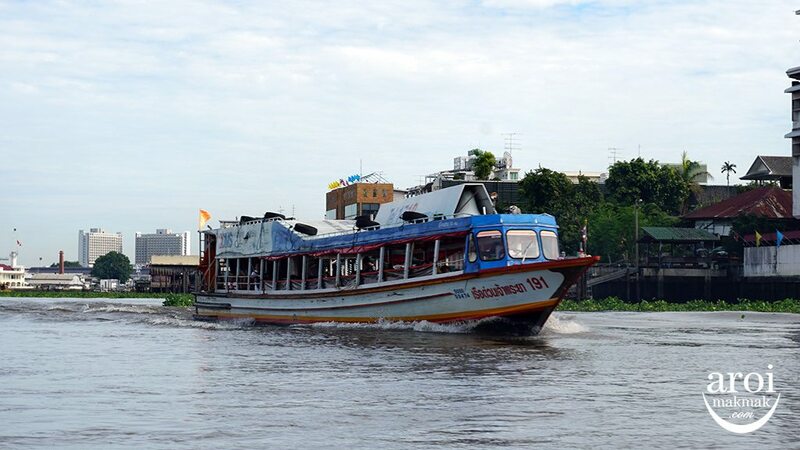 Chao Phraya River – Get to see Bangkok’s popular attractions all at once, and not forgetting the beautiful sunset. 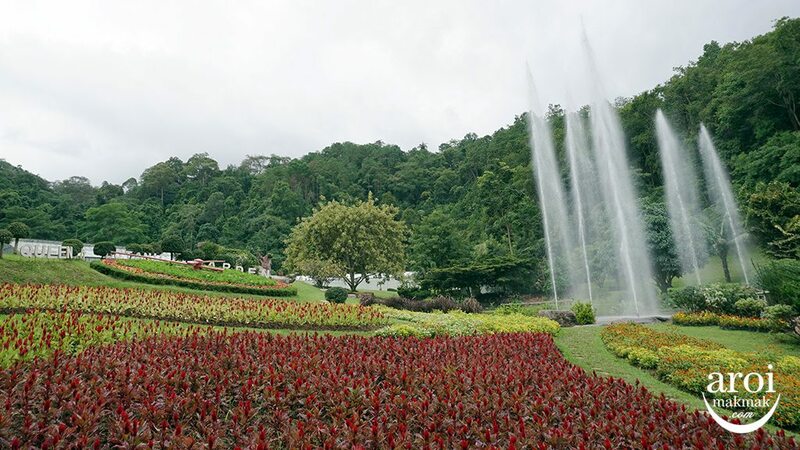 Queen Sirikit Botanic Garden – Thailand’s very first and largest botanic garden, to preserve the invaluable plant resources of the country. 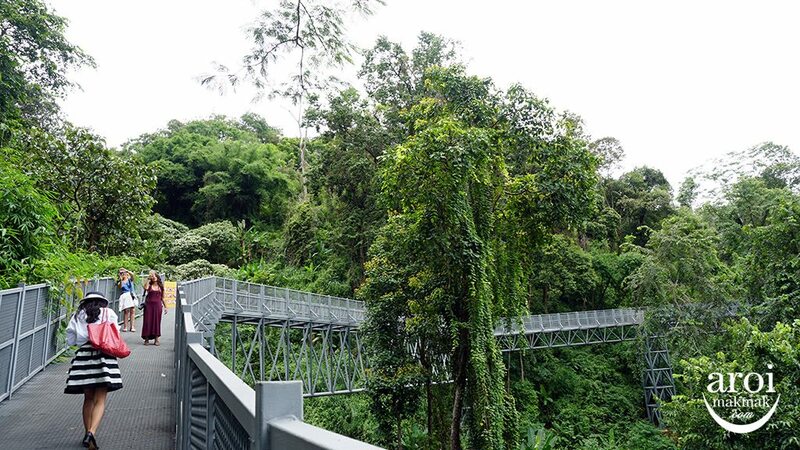 Canopy Walkway is the newest highlight of the Queen Sirikit Botanic Garden. You can look down see the lush tropical plants. 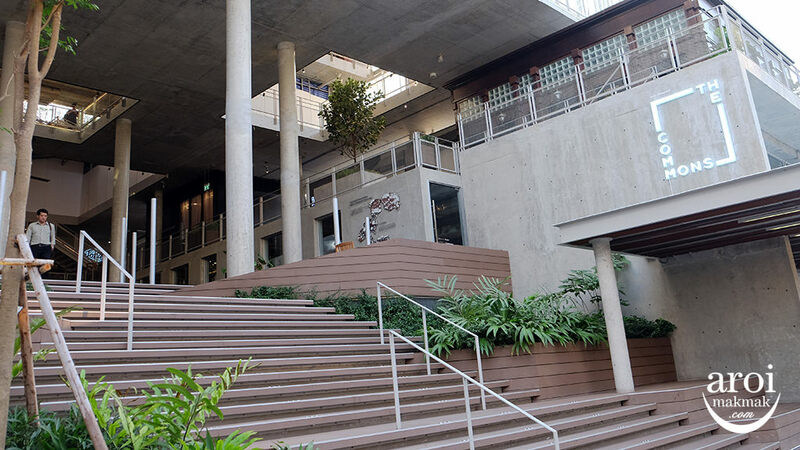 Every 50-100 metres, there are glass viewing platforms! 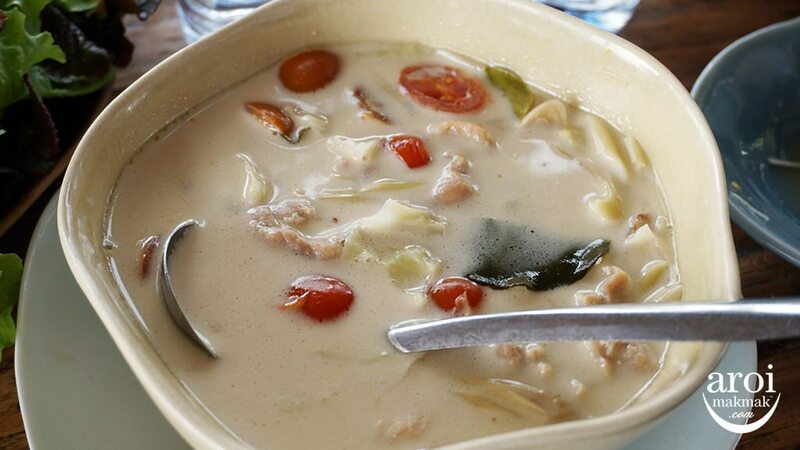 Tom Kha Gai – I had one of the best Tom Kha Gai I have ever tasted at Baan Mon Muan, a cafe, restaurant and homestay lodging situated 1250m above sea level with panoramic mountain views. 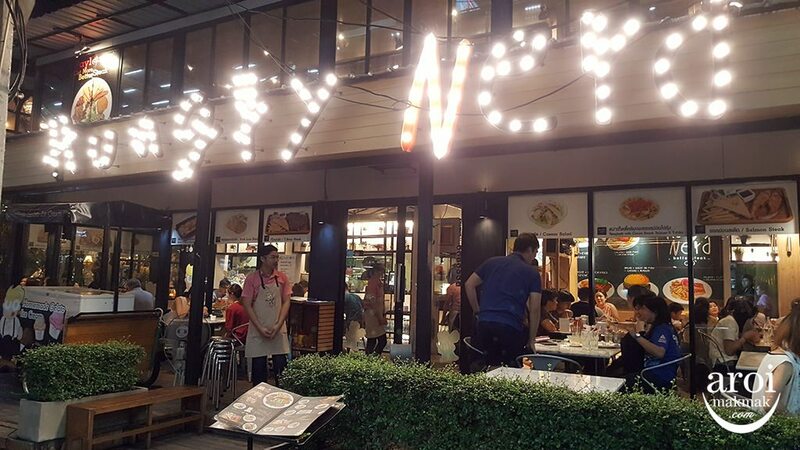 I love how chilly this place is while we enjoy our sumptuous lunch spread. 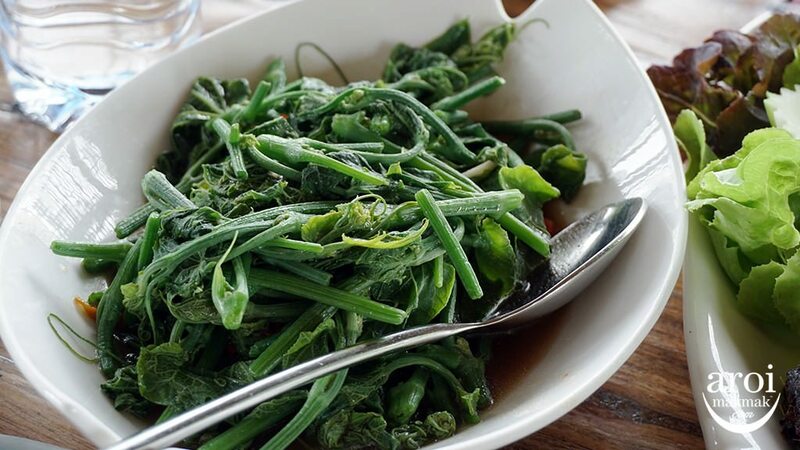 Chayote – Try this vegetable dish in Thailand! 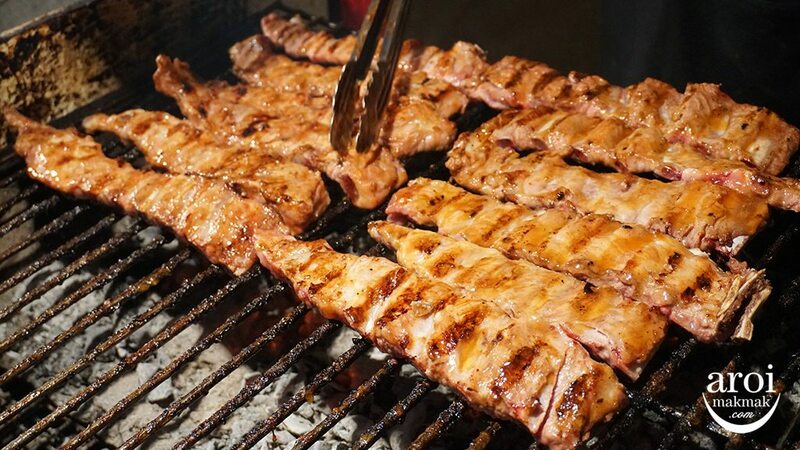 Moo Yang (Grilled Pork) is a favourite dish among many. 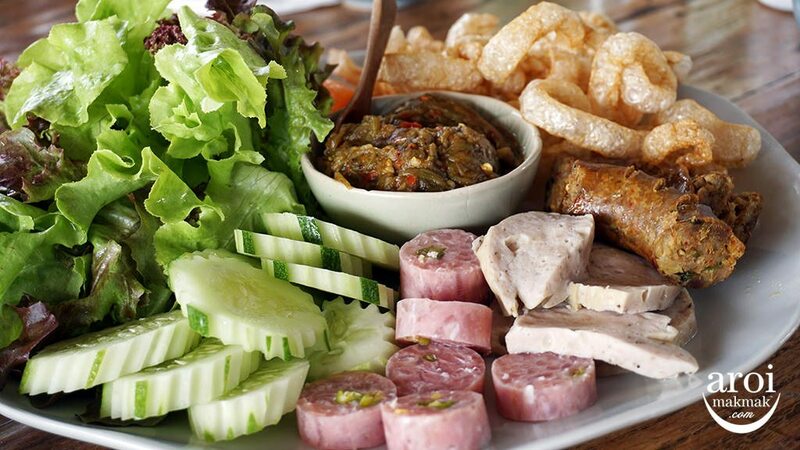 Northern Sausages – You have to try these unique sausages in Chiang Mai. 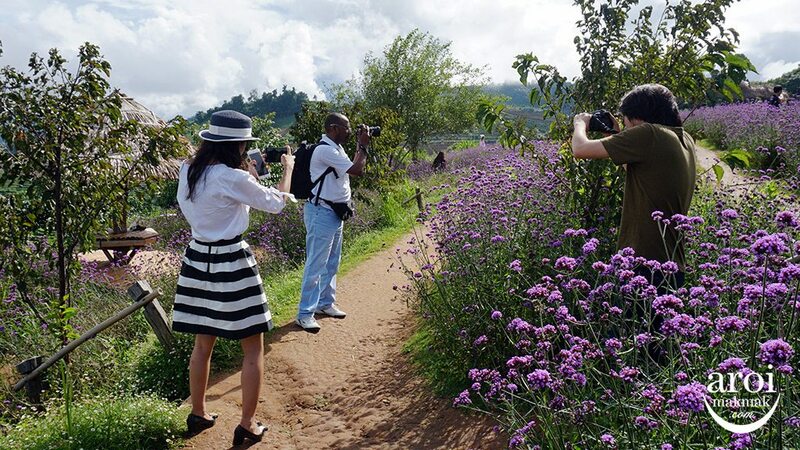 Royal Project – Mon Cham used to be a desolate forest but villagers came and turned it into an Opium farm. When the Royal Project took over, the opium farm was removed and the hill tribes had a better standard of living, producing healthy vegetables for sale. Mon Cham – The scenery here is also magnificent and is now a popular spot for beautiful photos! Formula Hmong – At Mon Cham, this is their very own Formula One! It’s a wooden cart race and at first look, the vehicle looks scary. Glad that I tried it and it was serious fun driving downhill without any steering. You operate it via your hands and legs. Capturing every moment – Everyone has a different story to tell and I believe all three of them had their own story too! 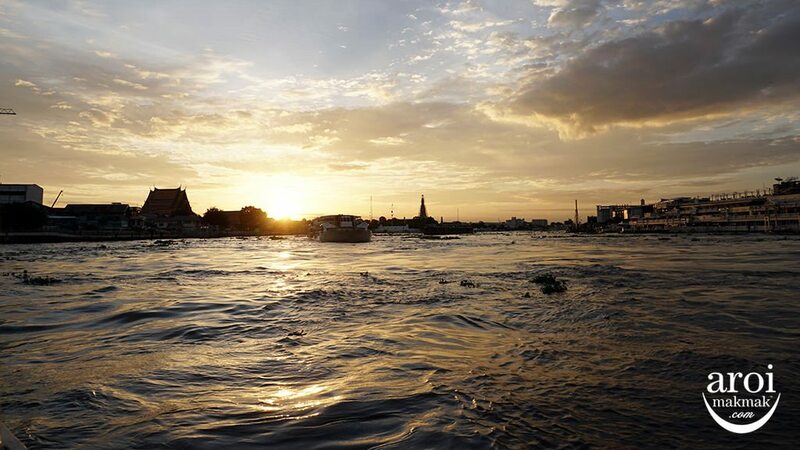 Beautiful Thailand – Beautiful in every aspect! 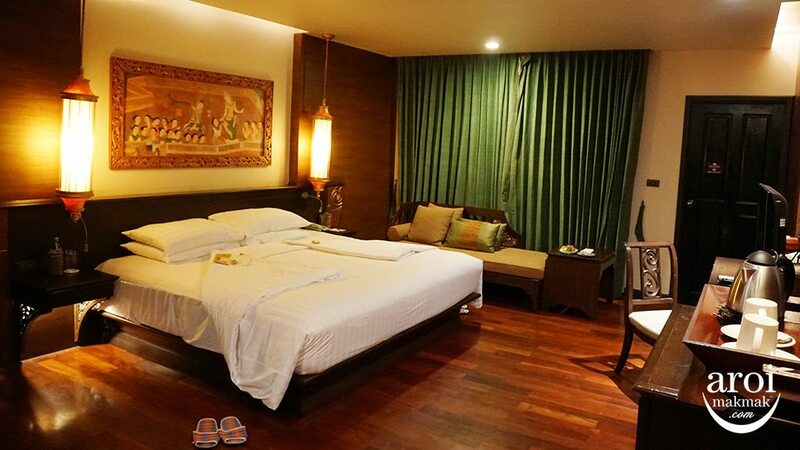 Siripanna Villa Resort and Spa Chiang Mai – We were greeted with lots of smiles and the Thai style rooms provided us with a comfortable sleep throughout our stay in Chiang Mai. 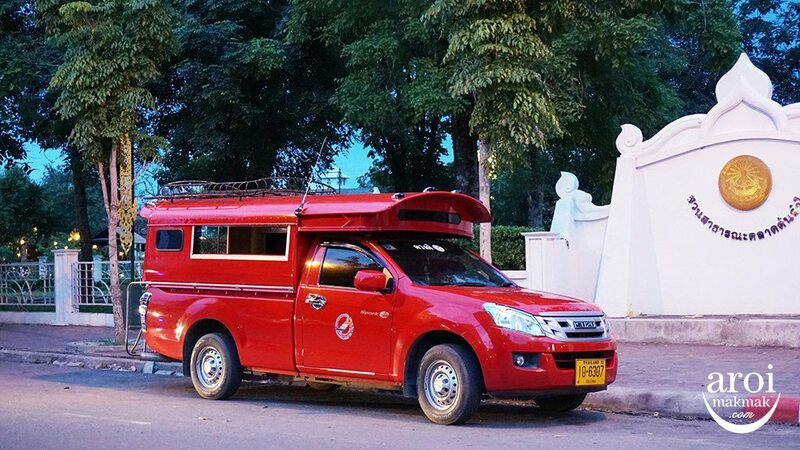 Baan Monfai Cultural Centre – This is the place to experience classic Lanna culture. 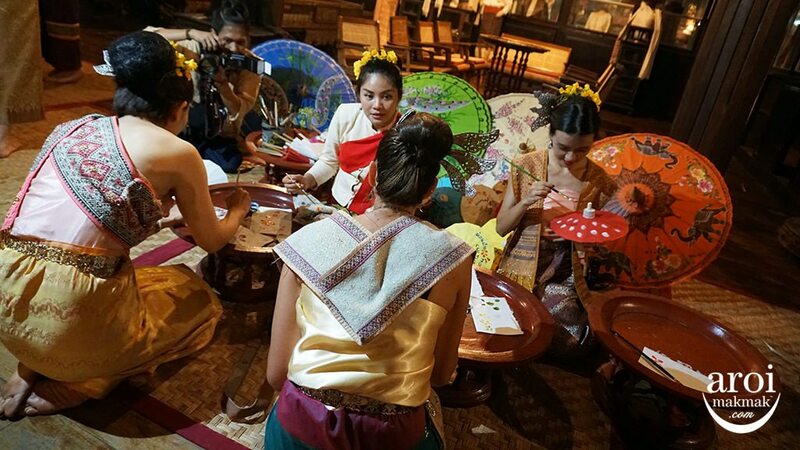 We got changed into traditional Thai-Lana costume and everyone looked so beautiful and handsome. 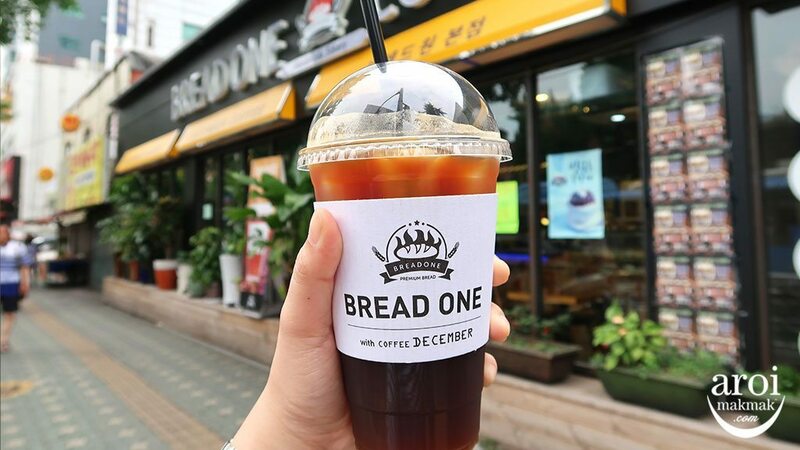 There was a sampling of many local snacks and activities at Kad Mua (northern style market). 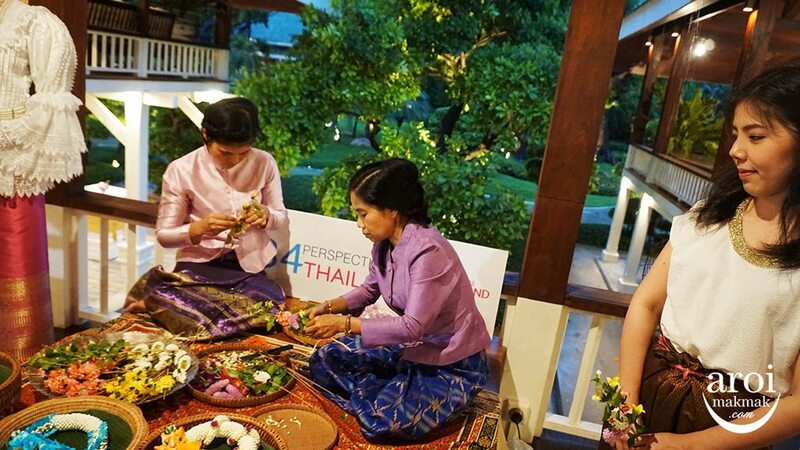 Thai blessing ceremony “Bai Sri Su Kwan” – a tradition when a new comer comes to visit the house. The “Bai Sri” tree is a symbolic ornament made of banana leaves, rice, flowers, and string. “Su Kwan” is a sermon given by a village elder. White or colored strings adorning the tree are used to tie around the wrists of the honorable guests. Khun Noot tying white strings around our wrists. 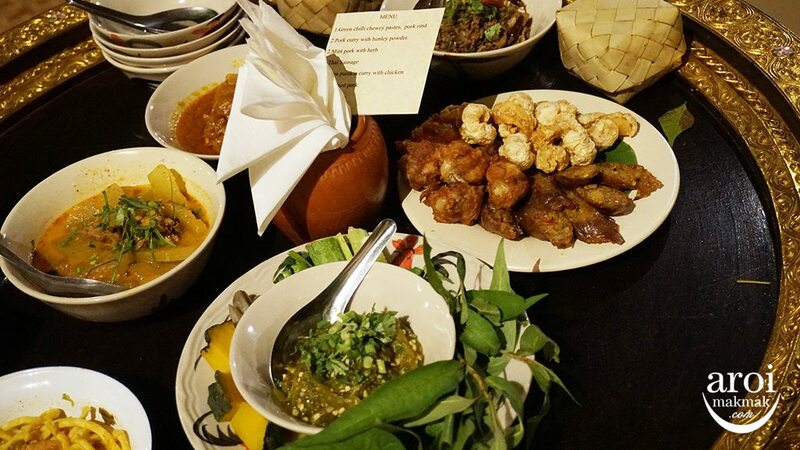 Khan Tok – A traditional northern Thai Lanna style dinner which you should try when you visit Chiang Mai! 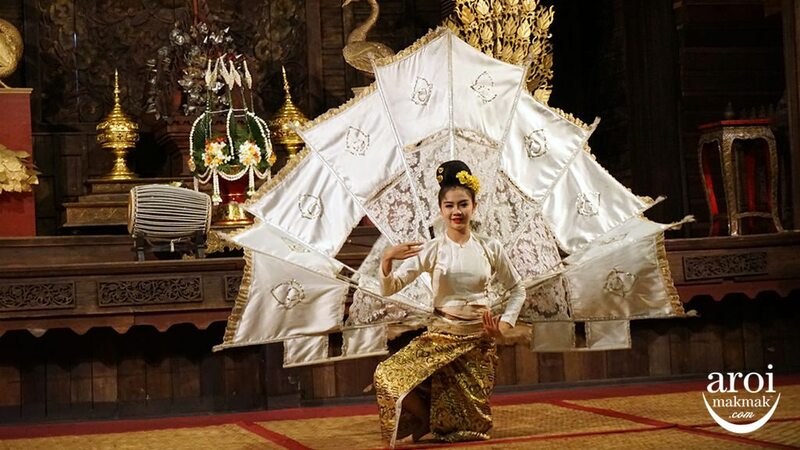 Thai cultural performances – While enjoying the Khan Tok, we got to enjoy a selection of northern thai cultural performances and music by a northern Thai string band. 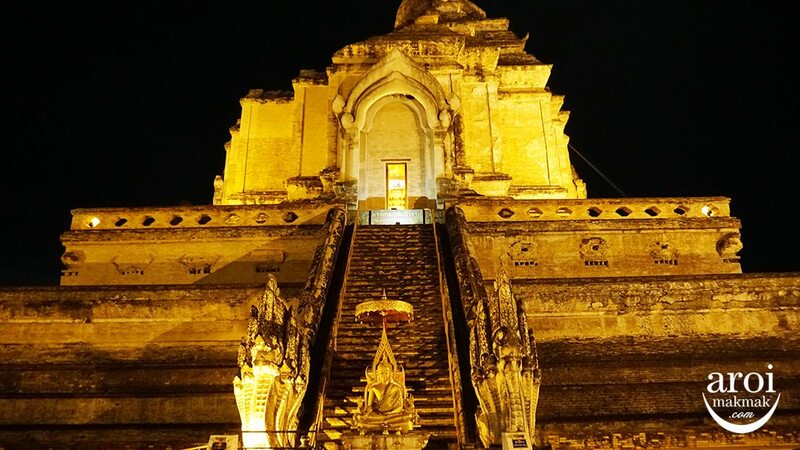 A fine example of the mix of Lanna and Thai Lü architecture styles. 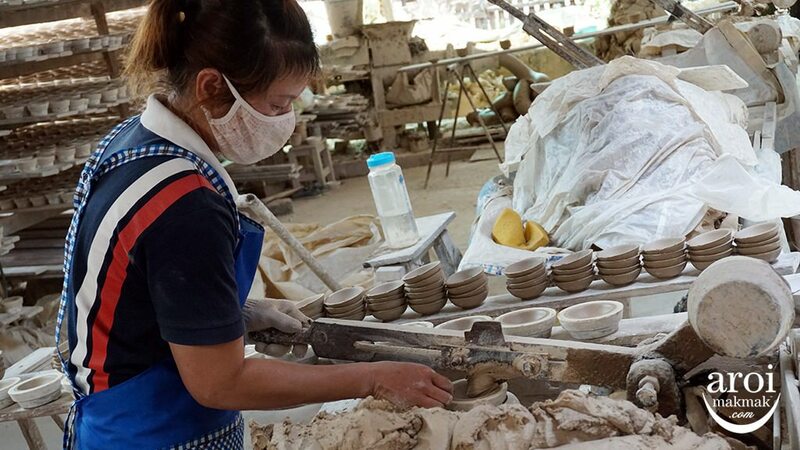 Dhanabadee Ceramic Museum – The legendary chicken bowl and ceramic maker of Lampang. 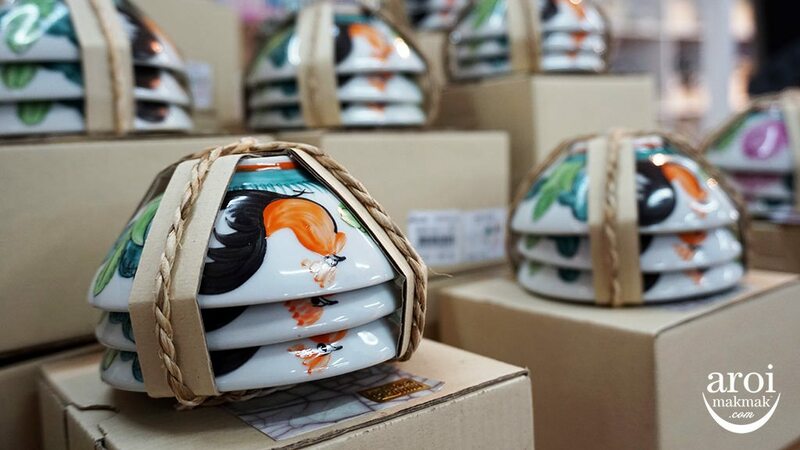 Ceramic painting on every ceramic piece. Patience – The work is repetitive and it takes lots of patience to do it daily. Lunch with a view at The Riverside. 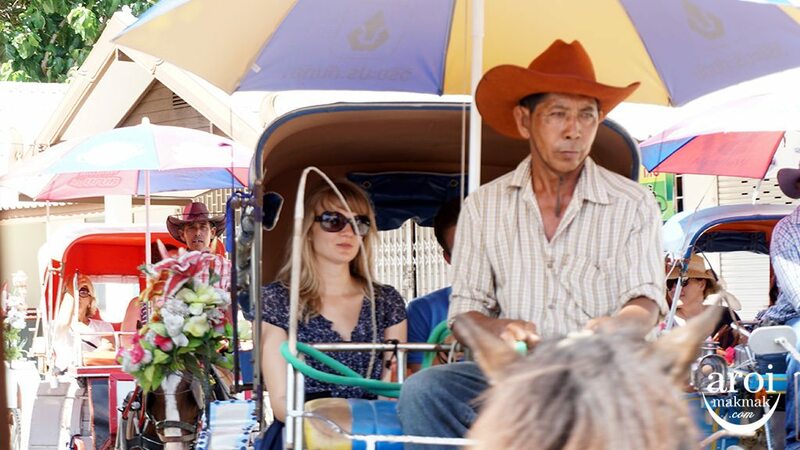 Riding on a horse drawn carriage to explore Lampang city. 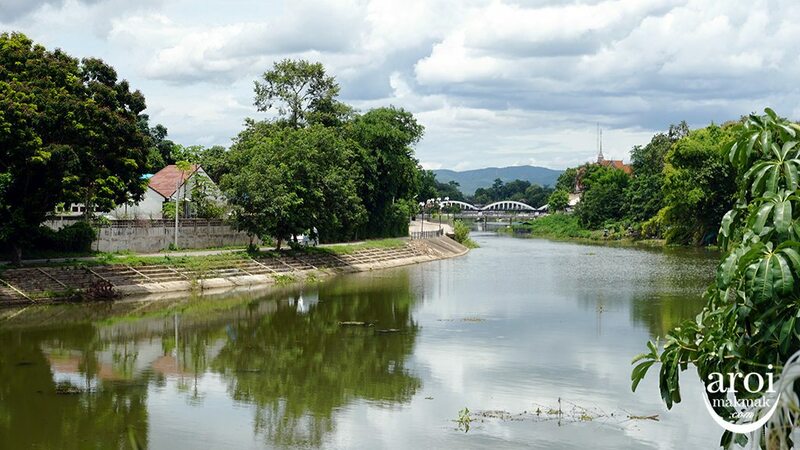 Ban Sao Nak – An ancient wooden house built in 1895. The ancient house has beautiful angles for nice photos. 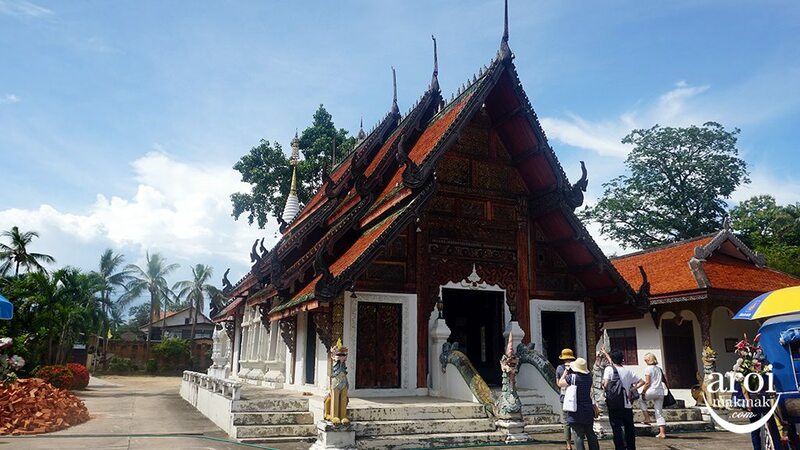 Wat Pratu Pong – A small temple built prior to the 20th century. 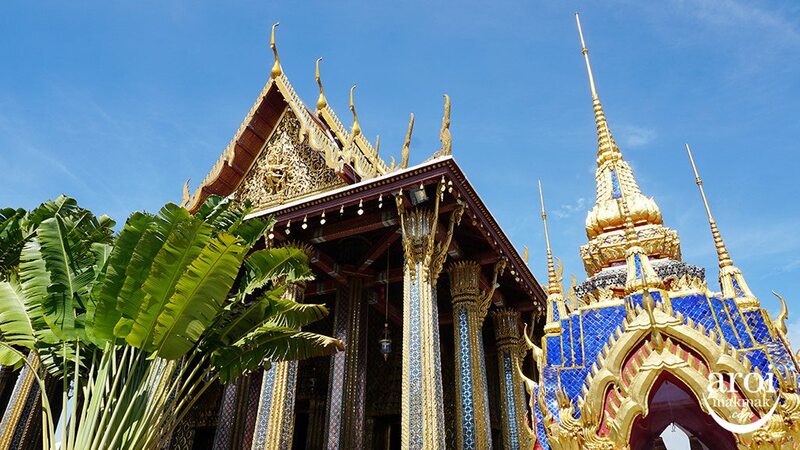 The temple is of a traditional Lanna architecture, which is a must-see for those who are fond of temple art. 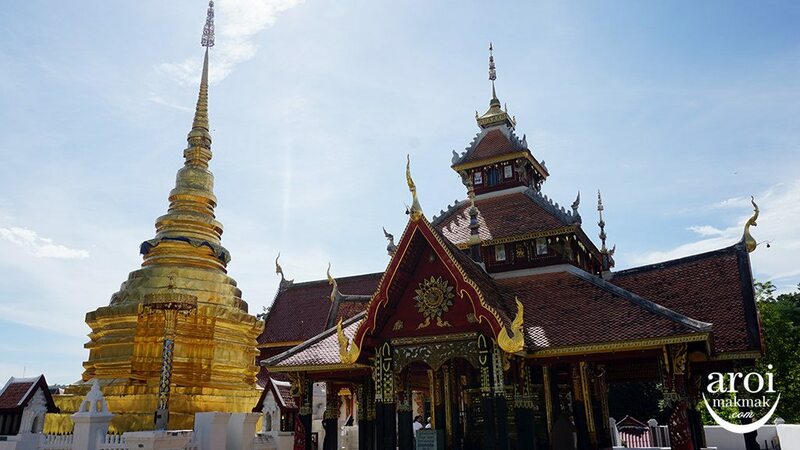 Wat Pongsanuk – A beautiful temple built in a mix of Lanna and Burmese Shan styles. Waroros Market – An indoor and outdoor market with local shops, fresh food, cooked food and souvenirs. 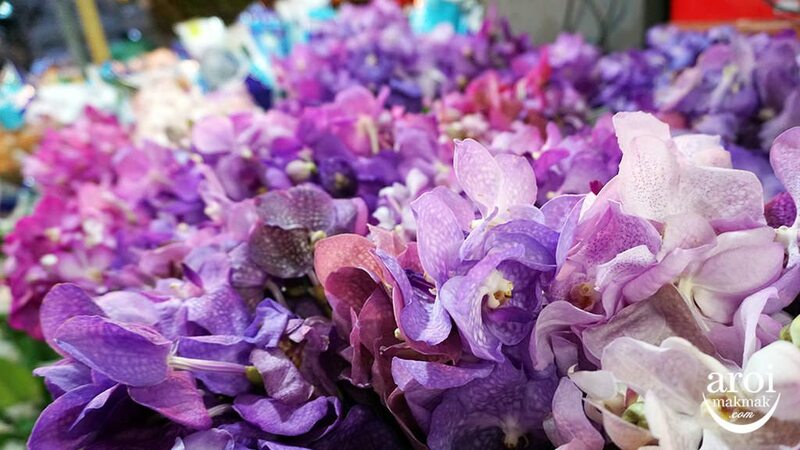 Beautiful flowers with colours of Silk. 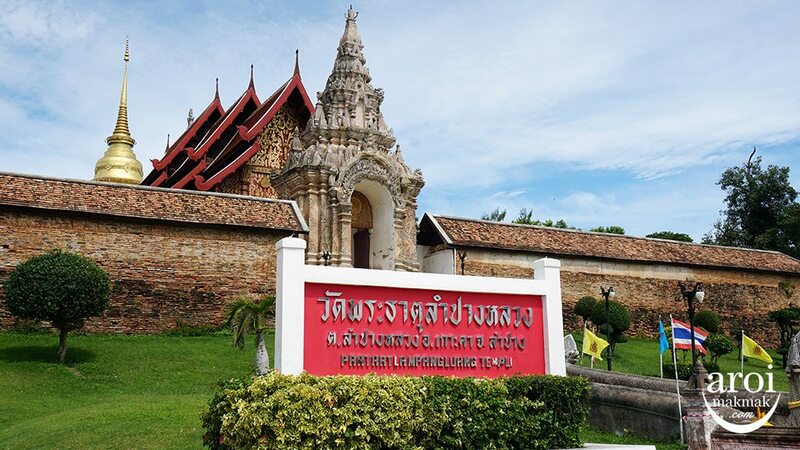 Tha Phae Gate – The reconstructed main entrance to the old walled city. 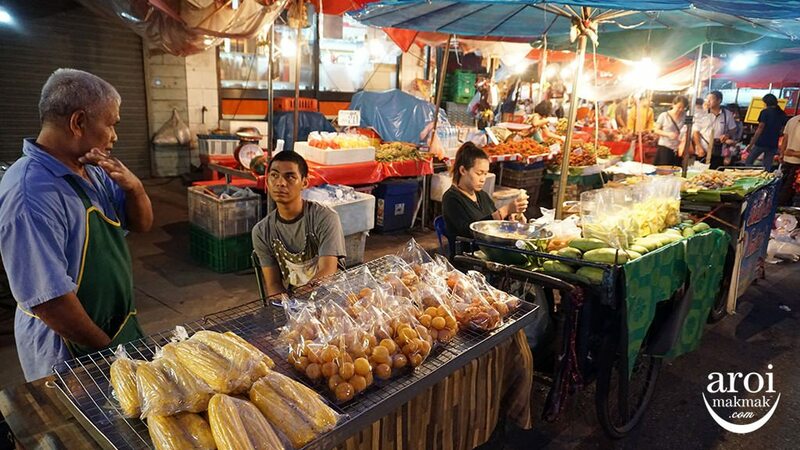 Street Food – You have to try Thailand’s street food because you will be amazed by how delicious it is. 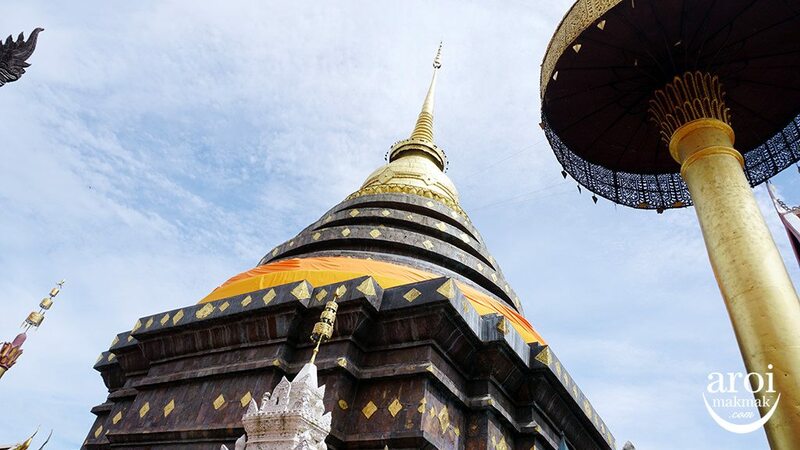 Wat Chedi Luang – The most important temple located in the ancient walled part of the city, also known as “The temple of the Great Stupa” initially consisted of two more temples named Wat Ho Tham and Wat Sukmin. 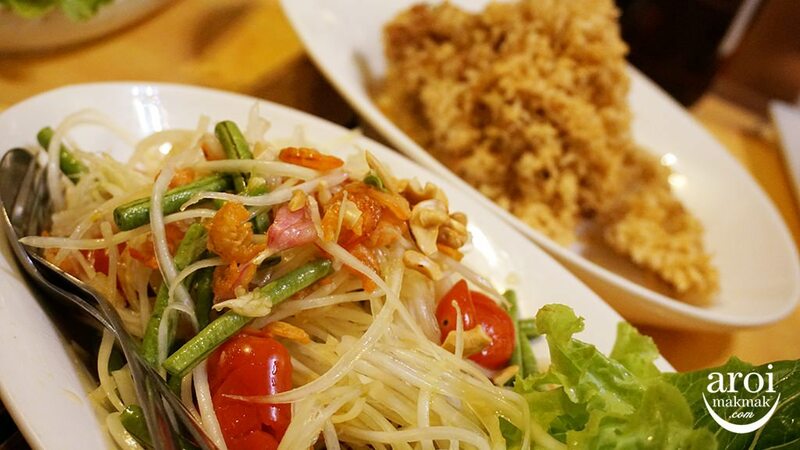 Dinner at Café De Nimman – One of the best fried fish I had ever tasted. 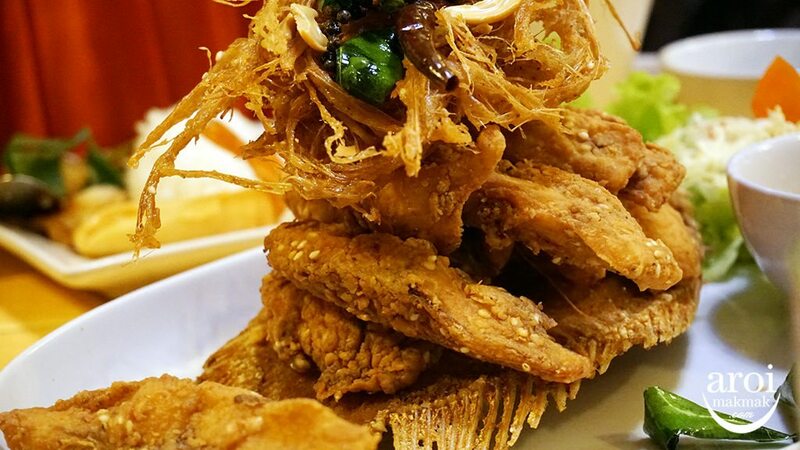 Despite being fried, you can still taste the freshness of the fish. 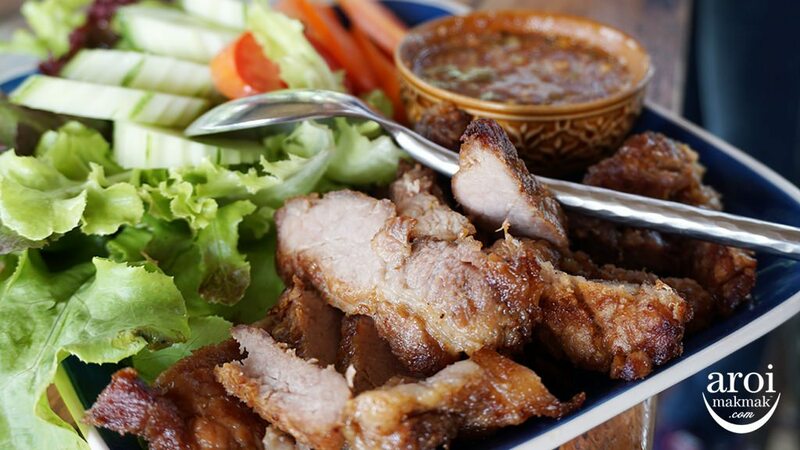 Som Tam with Fried Catfish – The trick is to eat the Fried Catfish with the Som Tam and sauce for the burst of flavours and textures. Merit making at Wat Suan Dok. 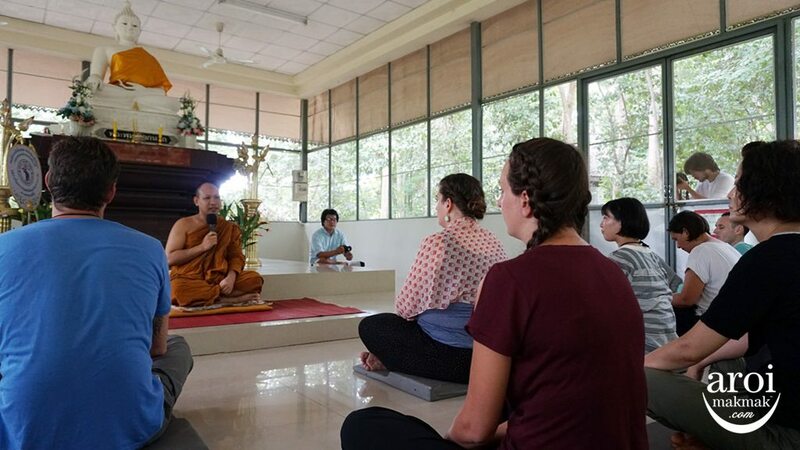 For Buddhists, merit is obtained by giving in all sense of the word, one of which is by providing food or daily essentials to Buddhist monks and at the same time be blessed. 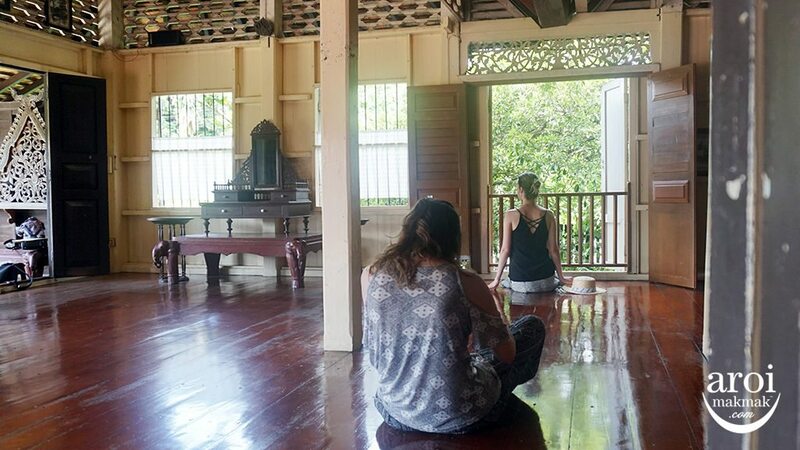 Yam Khang – A traditional Lanna massage that can effectively relieve muscle pains. Yam Khang is a Lanna massage style where a masseuse will warm his feet on hot charcoal before pressing them on our body. 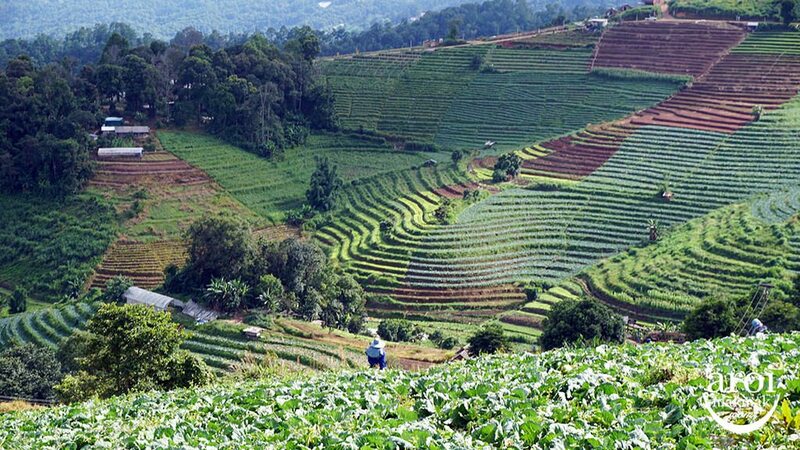 You can experience this at Ban Rai Kong Khing village. 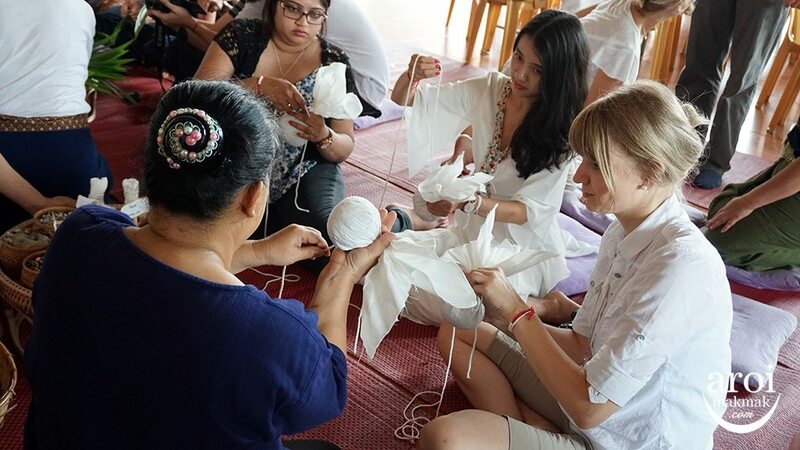 Learning how to make Thai Herbal compress ball, which is used in many Thai massage treatments. 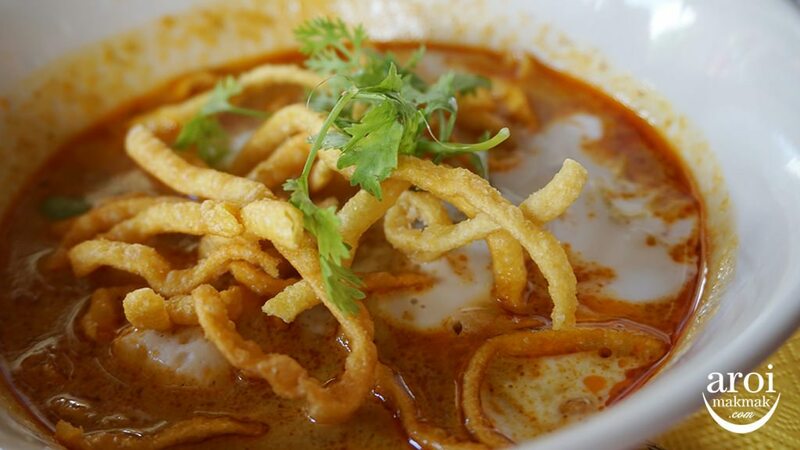 Khao Soi – Northern-style noodle curry soup with chicken, a must try in Chiang Mai! 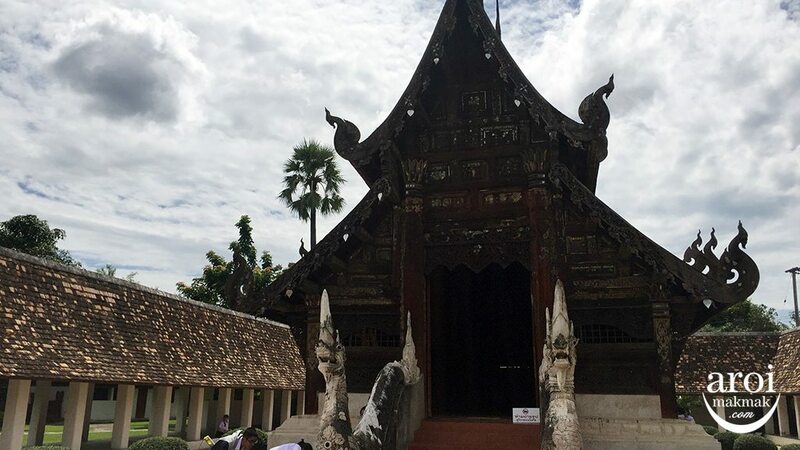 Wat Ton Kwen (also known as Wat Intrawat), the most perfect old Lanna architecture remaining today in the north with beautiful old teak wooden Sala carved in pure Lanna art and surrounded by tall palm trees. 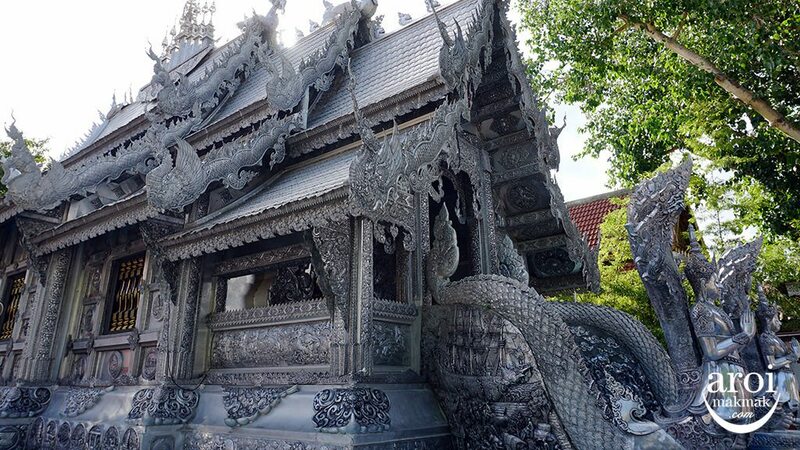 Wat Srisuphan Silver Chapel (main ordination hall, or “Ubosot”), covered with tin and zinc plates decorated with silver, hand made by local silversmiths, making it the only silver chapel in Thailand. 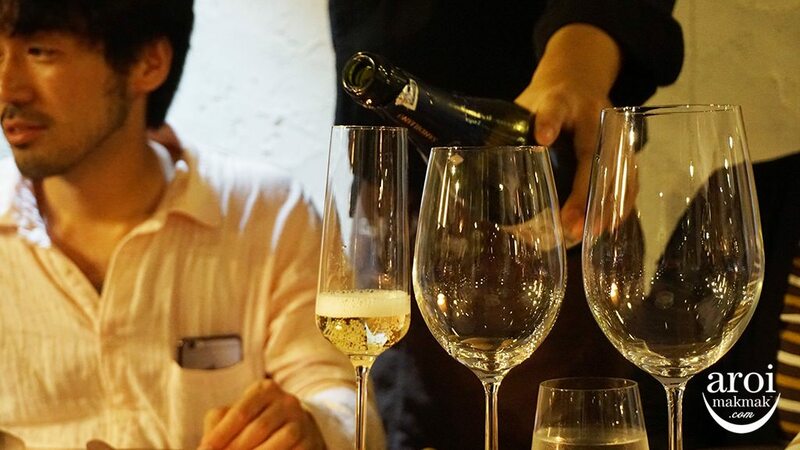 Fine Dining Dinner at Cuisine De Garden. We got to experience Nature Inspired Cuisine, which highlights the combination of art and nature in a plate. 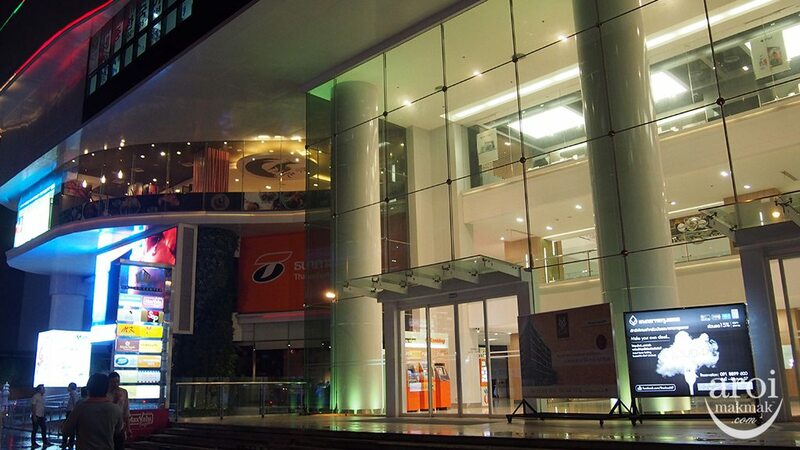 It is also the time where we had more time to chat among our group. Arts of the Kingdom, housed at the Ananta Samakhom Throne Hall at Dusit Palace, is a magnificent museum of exquisite and rarely seen traditional Thai crafts which reflects decades of work initiated under The Foundation for the Promotion of Supplementary Occupations and Related Techniques or the SUPPORT Foundation under Royal Patronage of Her Majesty Queen Sirikit. 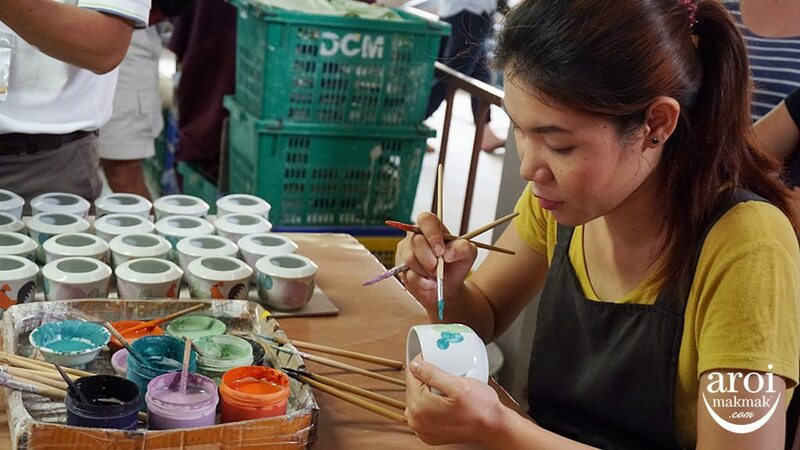 Thai Crafts – They re just beautiful, Thais have lots of creativity in them. 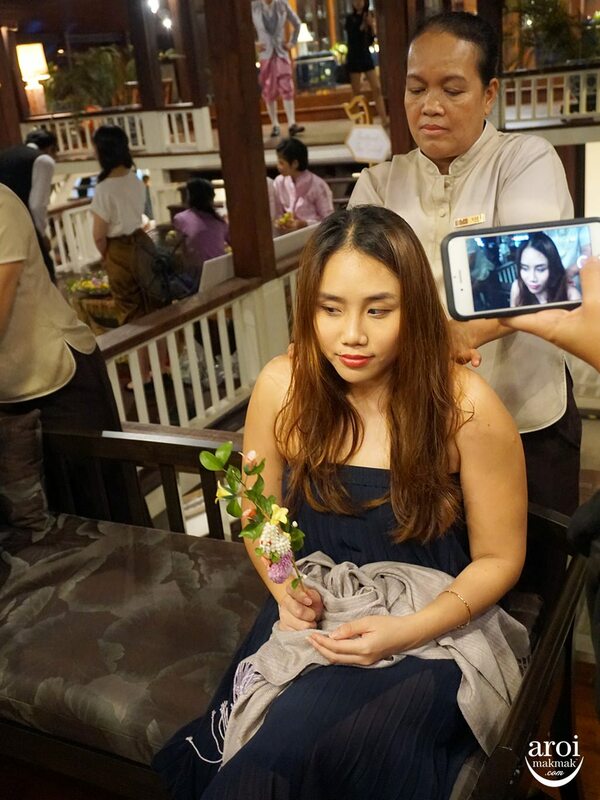 Thai Massage – Carrie from Singapore told me that it’s good so I had to try it for myself! 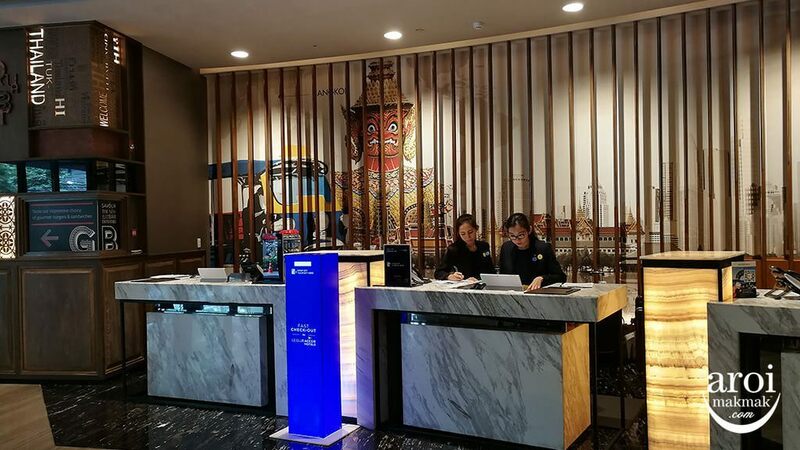 Thanks to Divana Spa, we got to enjoy a short but quality neck and back massage before we headed back to our own countries the next day. Having been to Thailand more than 50 times, it still amazes me on every new trip. 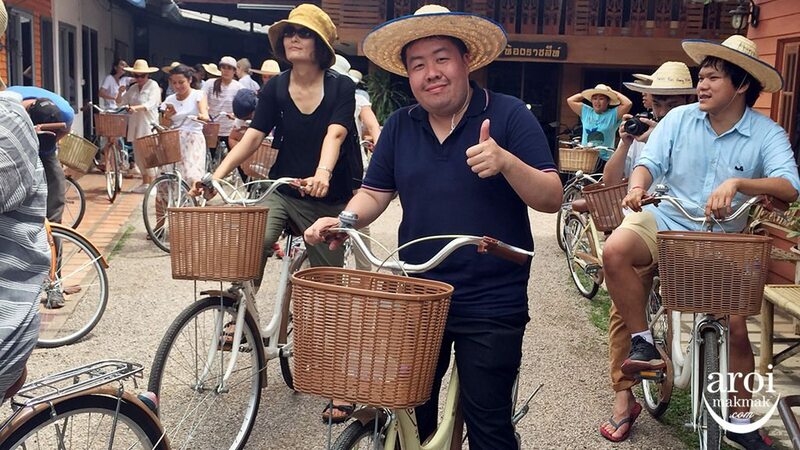 Indeed, it’s Amazing Thailand!